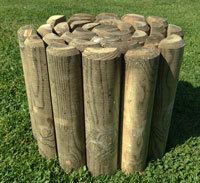 Prices for our log rolls start at only £5.99 each. 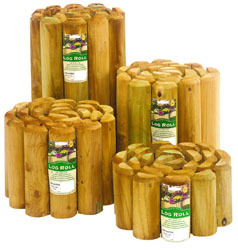 Please click on the image to see the full range of log roll. 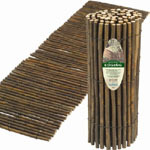 These willow hurdles will enhance your borders, garden edging, garden pathways and driveways. These willow garden edging is made from woven natural willow. This willow edging is woven for good looks and strength. These willow lawn edging comes with spiked stake legs for easy installation. 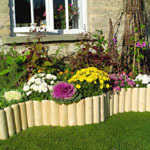 These willow hurdles will enhance your borders, garden edging, garden pathways and driveways. These willow garden edging is made from woven natural willow. This willow hurdle is woven for good looks and strength. These garden edging comes with spiked stake legs for easy installation. This willow edging is made from natural willow. These willow garden edging can be used on straight or curved garden edging. This willow lawn edging will enhance any landscape border. 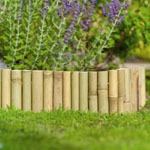 Prices for our bamboo lawn edging start at only £4.99 each. Please click on the image to see the full range of bamboo edging.